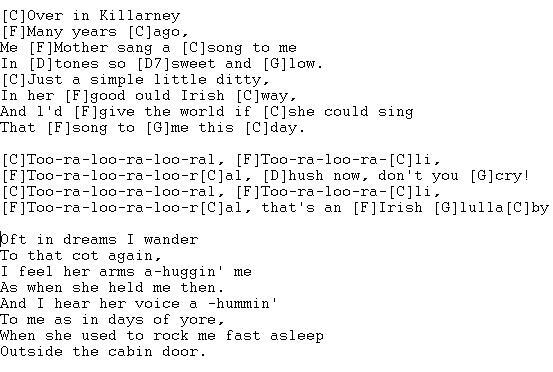 An Irish Lullaby Guitar Chords And Lyrics. Written in 1914 by James Shannon but the tune is much older. Made popular by Bing Crosby, also recorded by Bob McGrath. This song is more popular in America than Ireland, in fact the only Irish singer I heard singing it was Daniel O'Donnell. 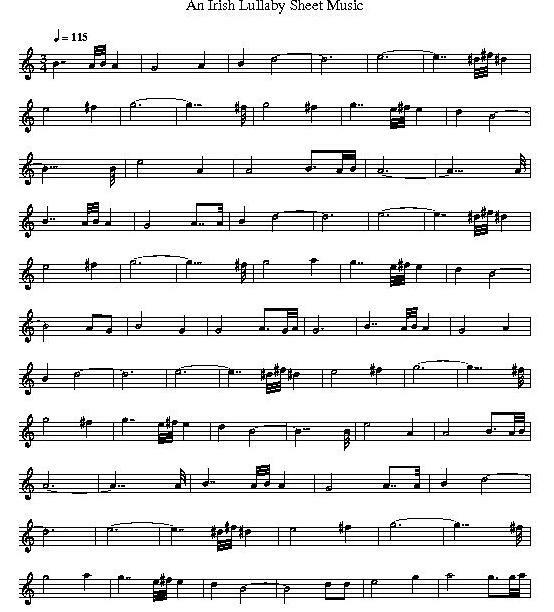 The sheet music notes are included.